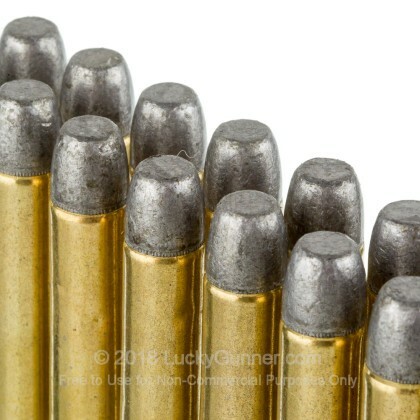 Looking for Premium lever gun ammo with serious power? 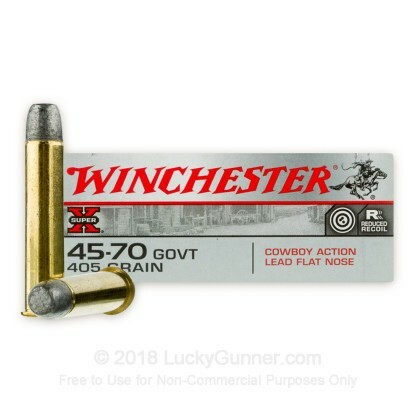 This hard to find top of the line Winchester Cowboy ammo is reliable and accurate. 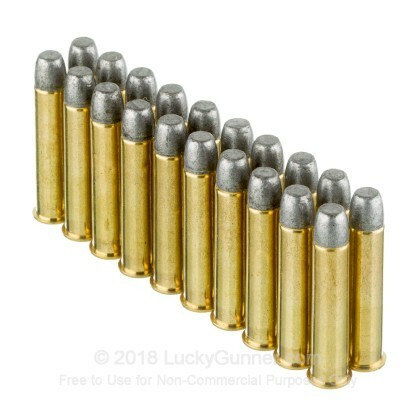 It is excellent for target practice, plinking or big game hunting. 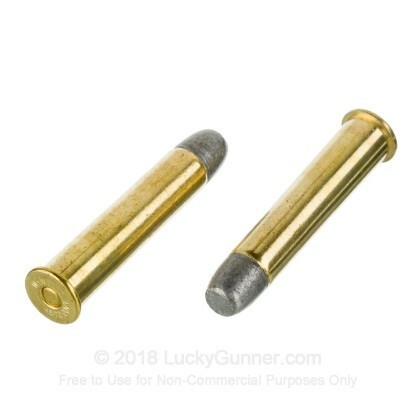 The Lead Flat Nose projectile is specifically designed for smooth operation in cowboy action firearms. 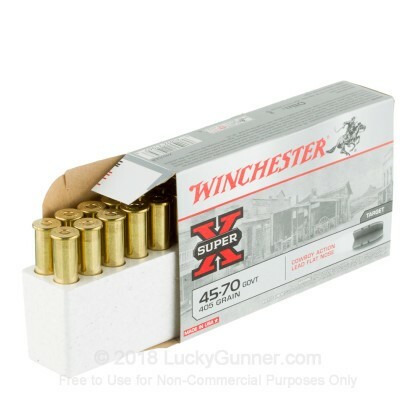 We don't have any reviews yet for this particular 45-70 ammo from Winchester. 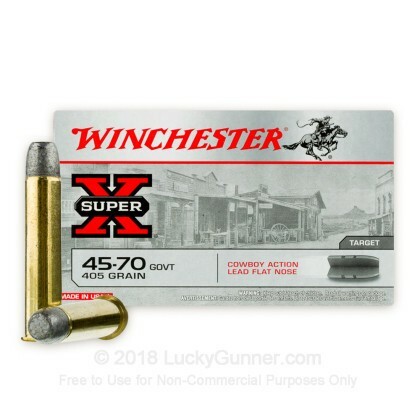 If you'd like to be the first to review this particular 45-70 ammo from Winchester, fill out the form below.